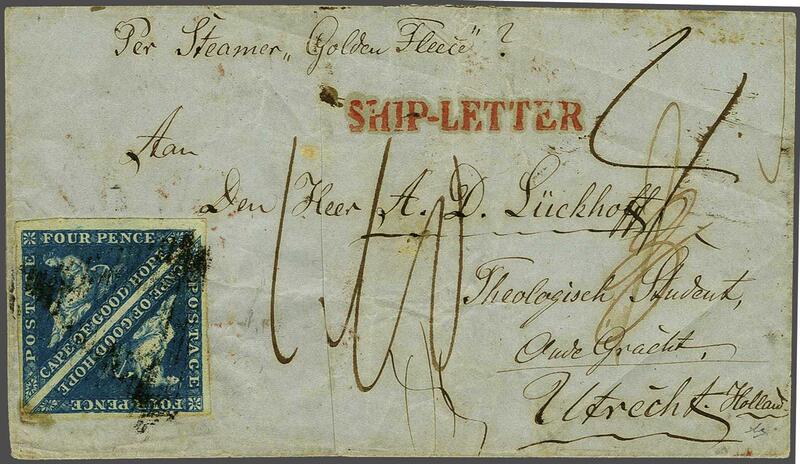 1855/63: 4 d. blue on white paper, a used pair with good margins all round, minor stain due to journey at lower left, tied to 1858 cover endorsed 'per Steamer Golden Fleece' to Utrecht, Netherlands by CGH obliterator in black. 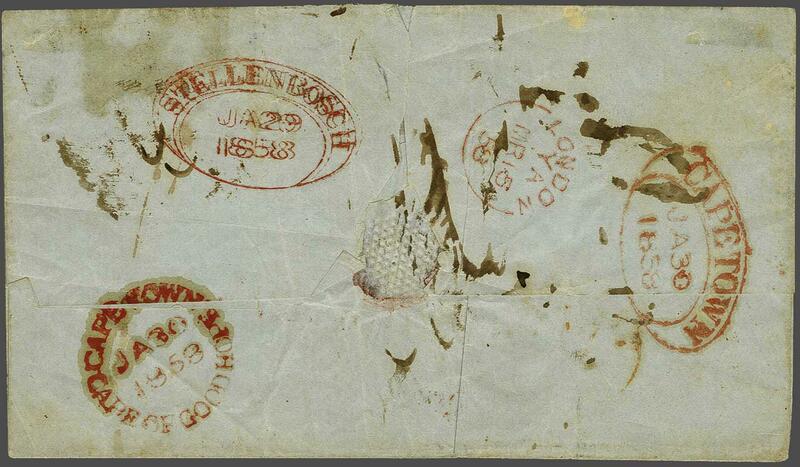 Reverse with oval STELLENBOSCH despatch in red (Jan 29), oval and circular CAPE TOWN transits in red (Jan 30) and London cds of transit (March 15) where struck with straight line SHIP LETTER in red on obverse. The 'Golden Fleece' landed at Gravesend on March 13, 1858. Some creasing and a plethora of rates incl '4' (4 d. Port Fee), A wonderful and very rare cover.rnrnProvenance: Collection 'Solomon', Köhler sale 236, June 1982, lot 123.